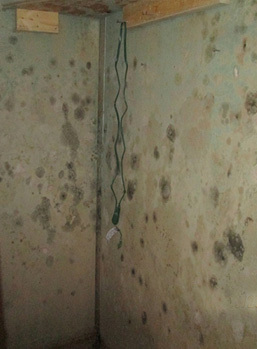 Remove mold from your property today! If you need mold removed from your home or business, call the water restoration experts of Dry Mark of Michigan immediately. We can be there within the hour! For a FREE ESTIMATE, call (248) 671-6614. At Dry Mark of Michigan, we will work to assess the damage and quickly determine what has been affected and what has not. We will perform water remediation services to remove all water and moisture from the home, making it safe and sanitary to reside in once again. If your property has experienced a disaster such as a flooding in your basement, a burst pipe or sewage backup, you will need a professional team to quickly extract the water, thoroughly dry the area, and clean up any sewage all before mold has a chance to move in. We will work with you until your home is up-to-code and you are satisfied with our work. Our goal is to reduce your stress and get your home back in order quickly, safely, and efficiently. 100% Satisfaction is our motto. We respond quickly to your call 24/7, 365 days a year. That's why we are Michigan's most referred restoration company. We do what it takes to complete the job right the first time - ensuring your complete satisfaction. We've been serving local property owners for over twenty years and providing the fastest response to disaster in the area. Our technicians are fully trained and use industry-leading equipment. Our focus is your safety and getting your life back to normal as quickly as possible.